There may not be anyone else in Hollywood that has been producing solid comedies more than the team of Evan Goldberg and Seth Rogen. The two team-up again for the Stoner comedy The Night Before and deliver a raunchy, albeit juvenile, holiday treat. It certainly can’t stand up there with true holiday classics, but it’s one that will get you into the holiday spirit in it’s own strange way. 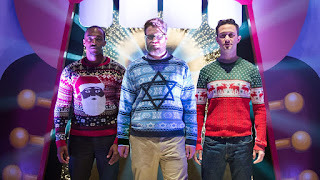 Since 2001, childhood friends Ethan (Joseph Gordon-Levitt), Isaac (Seth Rogen), and Chris (Anthony Mackie) have gotten together every Christmas Eve to celebrate the holidays with one wild night. As they grow older, Isaac begins a family with his wife and Chris’ fame begins to rise, the trio realizes this holiday tradition is coming to an end. Then a Christmas miracle occurs, allowing these three men to have the night to end all nights, when they obtain tickets to the ultimate Christmas party, The Nutcracker Ball. As with most comedies these days it takes a lot to make a film truly standout from the numerous others in theaters throughout the year, but The Night Before finds a way. 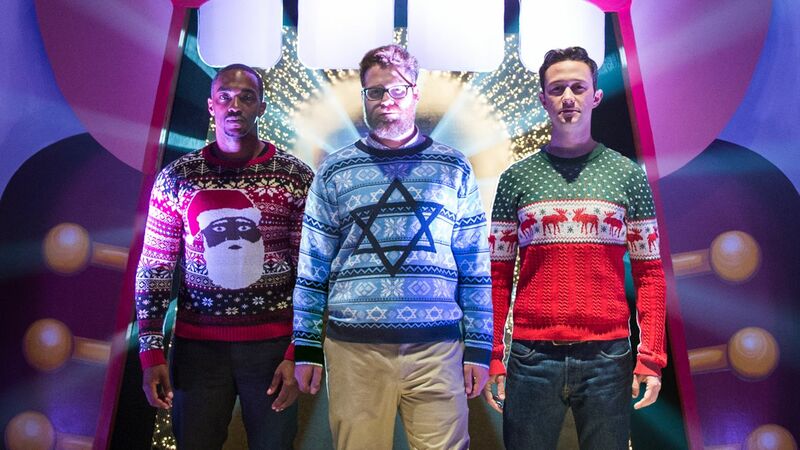 With a rather un-unique premise, the film still manages to be fun through its holiday setting and overall chemistry between the three main actors. And that truly is the best part of the film. 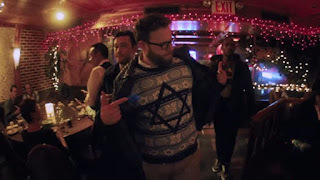 The chemistry between Rogen, Mackie, and Levitt makes it seem as though they have been friends throughout their whole lives and truly have these traditions. Seth Rogen is the soon to be father who lets loose for the night, becoming the stoner that Rogen plays so well. Mackie is the football player who has recently obtained fame, making the struggle between fame and friends a main focus point. And Levitt plays the guy who just doesn’t want to grow up. His character really becomes the emotional center of the whole film as he worries what his life will be as his friends move on. The emotional aspect of the film is the most surprising element throughout. Of course it should’ve been clear that was coming when the director was Jonathan Levine, who packed so much emotional weight into a film like 50/50 that everyone should’ve known that was coming here as well. 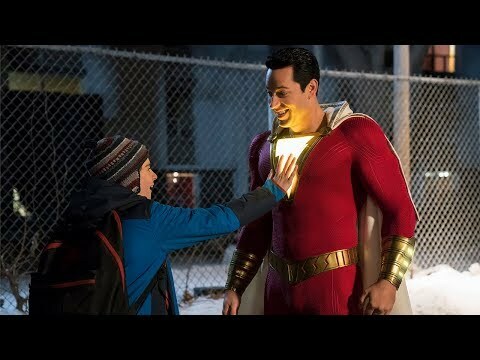 The biggest problem I have with the film was its trailer giving away the funniest moments. But this isn’t solely a singular problem, most comedies do this and it’s becoming more and more frustrating every time. That isn’t to say there aren’t surprises, like Michael Shannon’s role or even a beautiful third act cameo that couldn’t be more perfect. So what did you think of The Night Before? 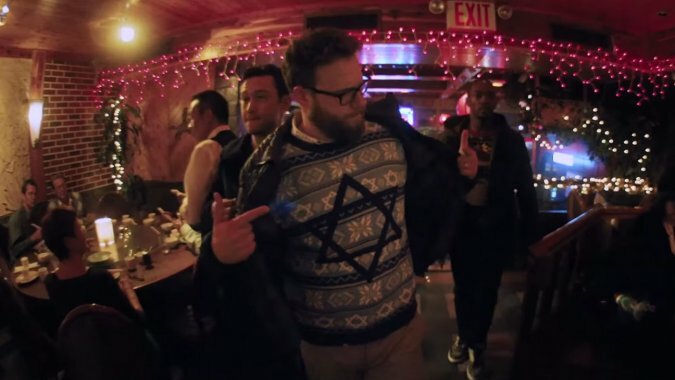 Have you seen it and what's your favorite Seth Rogen Comedy? Comment below and let me know and as always return to I Am Sam for weekly reviews.